Last week, The Rock and Roll Hall of Fame announced its nominees for 2017. The list features newly eligible artists Pearl Jam and Tupac Shakur as well as the previously nominated Janet Jackson, Chaka Khan, Kraftwerk, Yes, Chic, The Cars, The Zombies, Joe Tex, J. Geils Band, MC5, and previously eligible artists (on ballot for the first time) Bad Brains, Depeche Mode, Electric Light Orchestra, Jane’s Addiction, Joan Baez, Journey, and Steppenwolf. What are the qualifications to be nominated? I can think of someone who meets those qualifications. Rick Springfield definitely fits that criteria. His first single as an individual artist, “Speak to the Sky” was released in 1972, 44 years ago. He demonstrates unquestionable musical excellence and talent and has had a significant impact on the development, evolution and preservation of rock & roll. Some proof: His role in the Sound City documentary shows his history and impact in the rock & roll musical scene (development). His appearances on the “Greatest Hits” show and the I Heart Radio’s 80 Party earlier this year prove that in addition to being considered an icon of the ’80s, he’s still got it today and lots of those younger folks in the audience still seem pretty thrilled to be watching him perform (evolution). There are even Rick Springfield tribute bands (evolution). He has 18 studio albums, many hits and has toured nonstop for years (preservation). 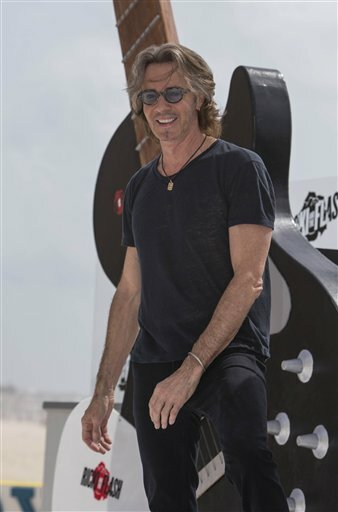 So although it’s too late for Rick Springfield to be nominated this year, maybe next year will be his year! It took awhile for the Hollywood Walk of Fame star to come to fruition, so maybe it’s just a matter of time before he’s recognized for all his work (perseverance).